This Creamy Garlic and Herb Mac N’ Cheese is my all-time favorite macaroni and cheese recipe! The garlic and herb cheese takes the flavors of this recipe out of this world good and will make you throw your basic mac n’ cheese recipe in the garbage! This recipe is one that I can confidently say that you will thank me for after! This Creamy Garlic and Herb Mac N’ Cheese is legit one of my all time favorite dishes to make. I almost always take it as a side dish if we are invited to a get together or BBQ! The flavors are like no other Mac N Cheese you’ve had! And you can even make it a little spicy by increasing the cayenne pepper if you’d like! I am not even lying when I say that I eat the leftovers for breakfast, lunch and dinner until they’re gone. I can’t even help it! I have no power against it! If you’re making it for only adults, I like to add a little bit more Cayenne pepper to give it a little kick! 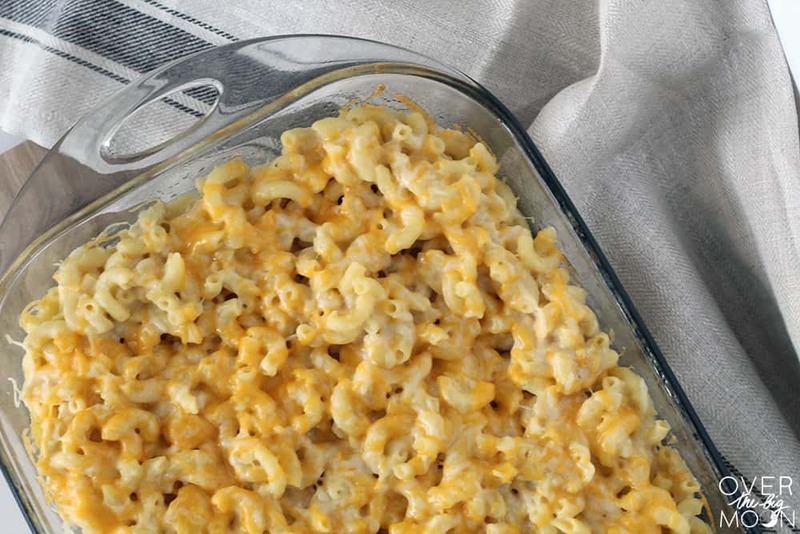 This recipe takes Mac N' Cheese and makes it adult worthy! Preheating your oven to 350 degrees. Grease a 9x13 pan (I prefer glass). Either by hand or using a food processor crush 1 1/2 cups (approx 1 1/2 – 2 sleeves) of Ritz Crackers. I generally just put them in a large ziplock bag and use my rolling pin to crush them. Boil the noodles in a large pot on your stove top until al dente. 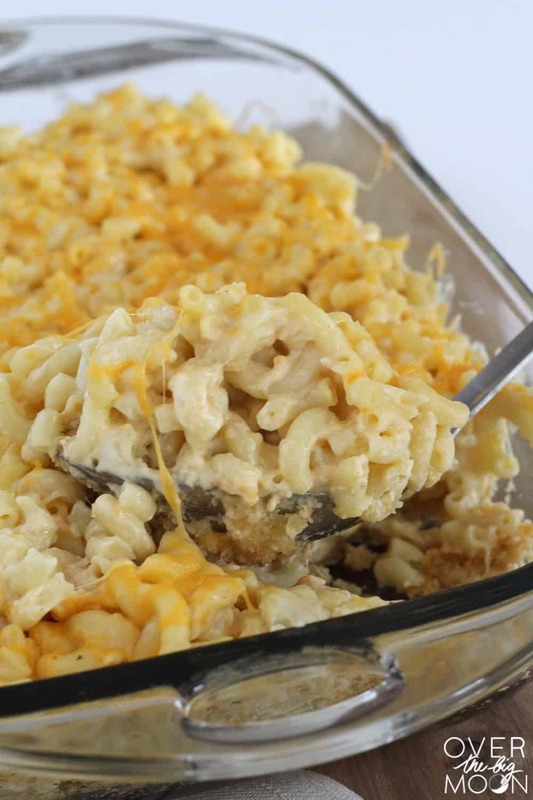 While the noodles are cooking, combine the crushed Ritz crackers, 1 cup of the shredded Cheddar Jack Cheese, and the melted butter in a large bowl. Mix well until everything is combined and the entire mixture is wet. Press the mixture firmly down into the bottom of the greased pan. 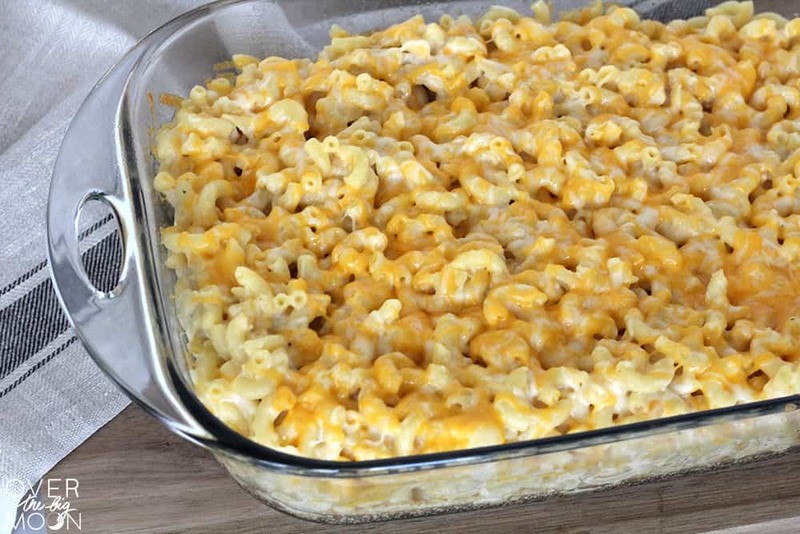 In a new bowl, combine the freshly cooked (still hot) macaroni noodles with 1/2 cup of the shredded Cheddar Jack, the Swiss garlic and herb cheese, and the butter. Mix everything together! In a third bowl smaller bowl, combine the eggs, milk, sour cream, cayenne pepper and salt. Mix with a whisk! Add the egg mixture to the cooked macaroni mixture, mixing everything until all the ingredients are melted! Dump the bowl of noodles & cheese mixture into the pan and spread it out. Top with cooked bacon if you want. 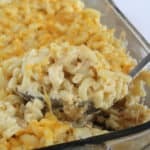 Bake the mac n' cheese for approx 15-20 minutes in the oven, until everything is heated through and the cheese is melted. You guys – the Laughing Cow Creamy Swiss Garlic and Herb Cheese wedges are life! They take Mac N’ Cheese and make it an adult dish! Now add any ingredients you may need to your shopping list! You won’t regret giving this recipe a chance!! 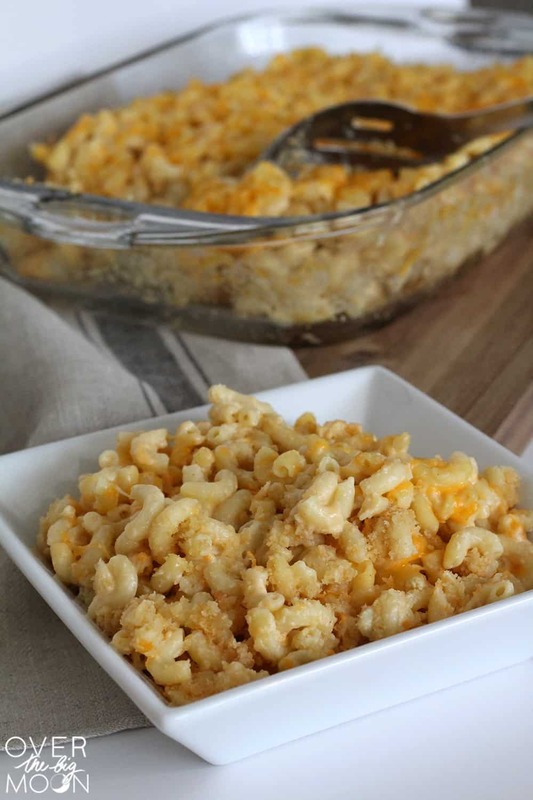 If you’re a Mac N’ Cheese lover, make sure and check out these other yummy Mac N’ Cheese recipes shared on my site! 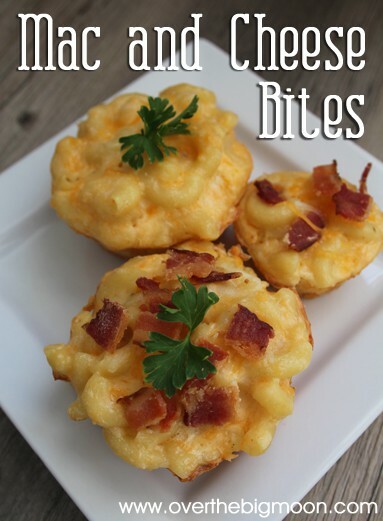 Also, if you want to make this recipe into an appetizer — check out the Mac N’ Cheese Bites post showing how to make them bite size! If you love this recipe — I’d love it if you pinned the image below!